Parkfield Community School in Saltley, Birmingham which ran educative sessions on LGBT rights as part of a programme to challenge homophobia has suspended these lessons indefinitely until a resolution is reached with protesting parents. Andrew Moffat, the deputy head teacher, who had introduced the 'No Outsiders Programme' that attempted to promote LGBT equality and challenge homophobia in primary schools had earlier reported that he was threatened and targeted via a leaflet campaign for his efforts to raise awareness. “I am personally a supporter of Andrew Moffat, a dedicated teacher trying to bring diversity, equality and inclusion in the school. 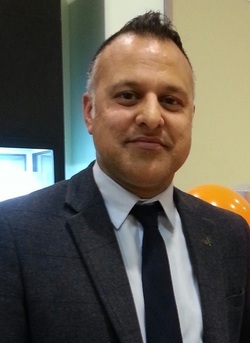 “As someone who identifies himself as a gay, I think it is a significant breakthrough that he is trying to achieve in breaking the stigma and taboo existing within the Asian community with regards to the LGBT group,” Khakan Qureshi, Founder, Birmingham South Asians LGBT. According to Qureshi, 98% students in the school are followers of Muslim faith and parents have claimed that these lessons are promoting gay and transgender lifestyles. Reports indicate that this month close to 600 Muslim children, aged between 4-11 years old, were withdrawn from the school for the day. However, the school would not confirm the number. But some inspectors said that there was only a “small, vocal minority” of parents who believed that the school’s equalities curriculum focused disproportionately on LGBT issues and was not taught in an age-appropriate way, but they found no evidence to support this. In a letter dated 8th March 2019 to Councillor Ian Ward, a woman named Fatima Shah wrote about her “deep concern and dismay” at Birmingham City Council's support to the 'No Outsiders Programme'. In the letter, Shah argues about how statements were made by the council without “communicating with the parents or attempting to understand their concerns”. Qureshi who has personally interacted with the various stakeholders of the protest including the school authorities and, the protesting parents explains that the concerns spill over to the bigger challenge of mis-representation of the issue. “But the parents are also concerned that the narrative being amplified by the media is that they don't want their children to be taught “gay lessons” where a majority of them are saying that it is not in their faith or ethos,” said Qureshi. However, reports have also surfaced where parents have argued that these lessons are pre-dominantly promoting a “western lifestyle” and encouraging a “homosexual trend”, something that is completely unacceptable to them and their culture. “That mindset is very arcade because although they may come from different parts of the world, they are now in the UK. If they don't want their children to be brought with a western ideology then they must look to settle in a different country,” Qureshi argued. Earlier in the week, parents of Parkfield Community and members of the LGBT+ community came together for a discussion over the on-going protest where some emphasised how marginalised communities should not be pitted against each other. Salma Yaqoob one of the members present at the curry night discussion tweeted about how the “school needs to apologise to parents & LGBT community for promoting LGBT issues as “de-radicalising” Muslim kids”. 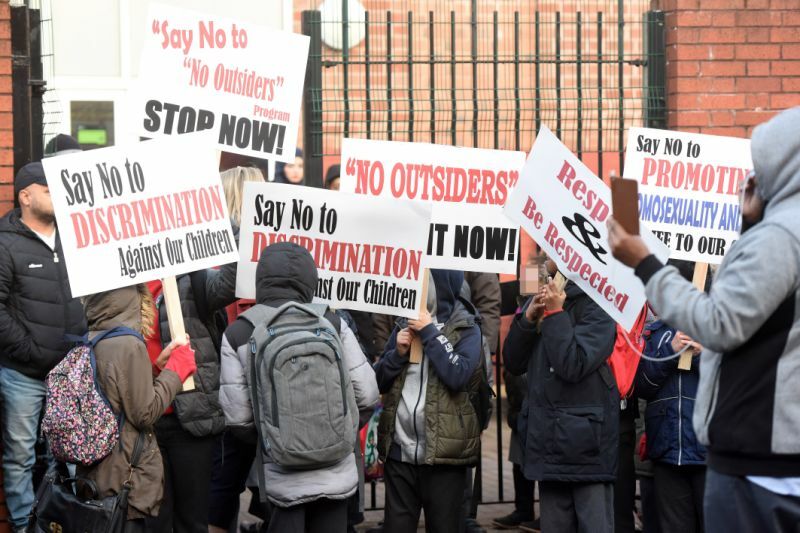 According to reports, school have said that the 'No Outsiders Programme' lessons, which teaches tolerance of diverse groups, including those of different races, genders and sexual orientation, will not be taught “until a resolution has been reached” with these protesting parents. Moffat, who has been shortlisted for the world’s best teacher award, has resigned from another primary school in Birmingham, Chilwell Croft academy, after a similar dispute.